LEAP Conveyancer seamlessly integrates with Microsoft Outlook. LEAP Conveyancer merges client details with your email system to create professional correspondence, ensuring every email sent from your electronic matter is standardised. Every email, including emails sent and received from multiple staff accounts, is automatically saved into the relevant electronic matter allowing all staff access to the most current email correspondence. Converting documents to PDF when emailing mitigates the risk of non-authorised amendments. 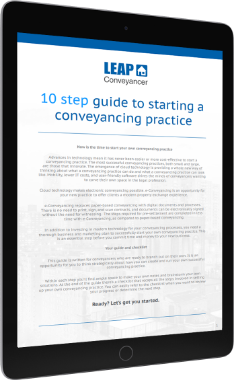 LEAP Conveyancer enables you to PDF and email documents within a single step.